Yes! 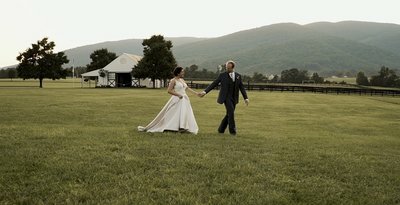 Although we are based in central Virginia, we often travel to film weddings. Travel and lodging fees vary depending on your wedding location! Shoot us an email so we can talk details! We'll go pretty much anywhere! We always tell our couples if they're in the rain, we're in the rain. Inside, outside, or not as planned, we really strive to capture the day as it happens. Sometimes you just have to go with the flow and rearrange a few things. So if we have to go get those venue and area shots in the rain, then we are going to. If you decide to go out and take your portraits in a down poor, we'll be out there with you. We prep for whatever the day brings us and make every attempt to capture your big day no matter what the circumstances. What do you do about rain or bad weather? We offer a few different packages that mainly differ in the length of the final video you are looking for. All of our packages include 2 cameras/operators, drone footage where legally permitted, raw ceremony film, raw reception film, digital delivery, and a 1 minute social media sneak peek! Reach out to us for pricing and more details on what we offer! We typically get booked up for wedding season (April-June and September-October) about a year in advance while other parts of the year tend to book a little later. We recommend booking as early as possible to ensure you can have us for your wedding day! We often get multiple inquires for the same dates during busy season, and we never send out another team to film multiple weddings in one day. When you book us, you get us!! Typically we handle most of our weddings as a duo. 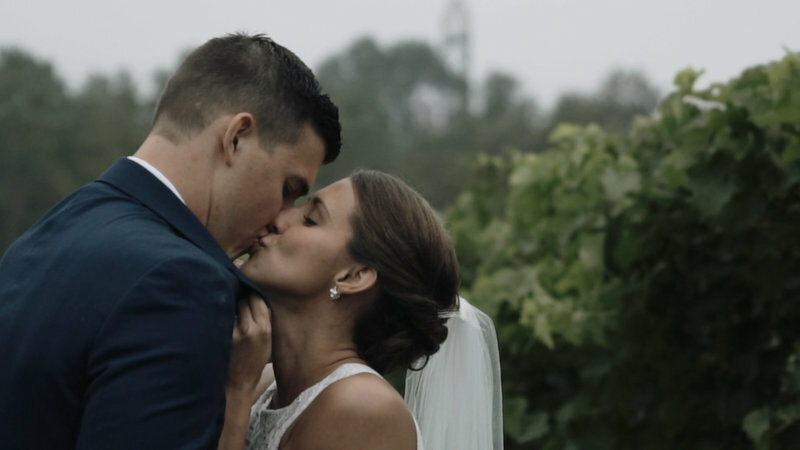 Occasionally, weddings with multiple locations and more difficult logistics, we will hire a third videographer or assistant to insure we can capture your wedding as smoothly as possible. We'll discuss pricing, details regarding your wedding day, how we do things, and answer any questions you may have. We can't wait to hear from you!